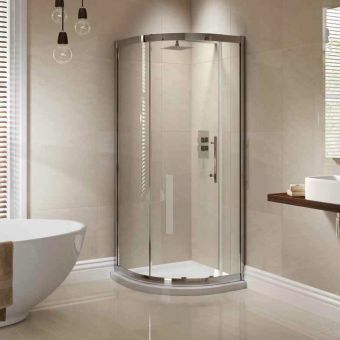 Capable of utterly transforming the corner of almost any bathroom space, this shower enclosure from shower specialists Simpsons is a breathtaking piece of interior design. 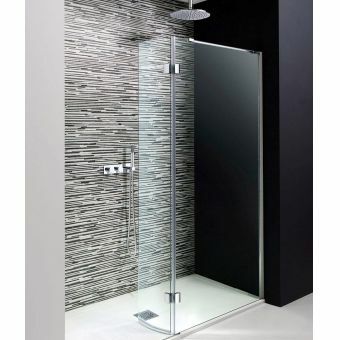 Height 1950mm. 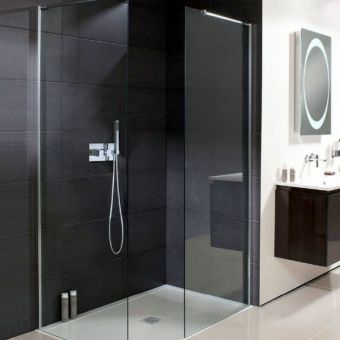 Nestled into the corner space, the two glass panels and a curved corner-entry door offer nearly two metres of clear glass for a light and refreshing shower space. 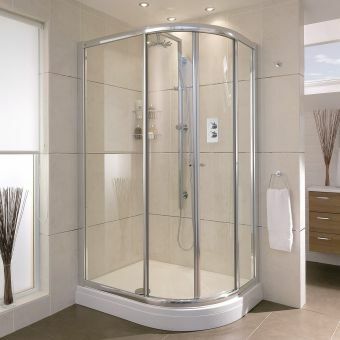 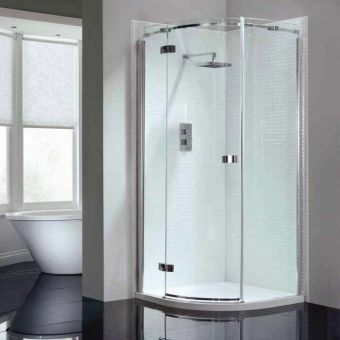 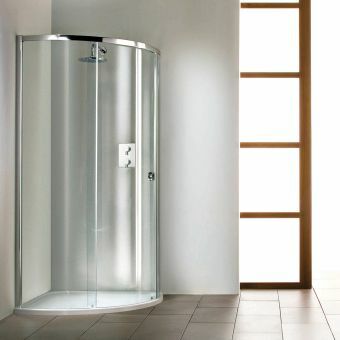 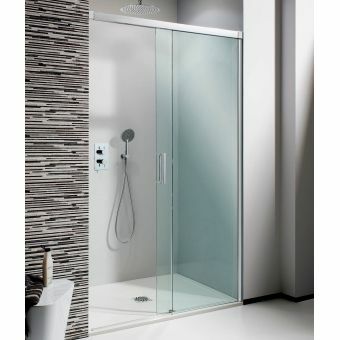 Surrounded by a minimal of chrome fittings and supports, Simpsons have produced a semi-frameless shower enclosure that is the perfect addition to the spacious, contemporary interior. 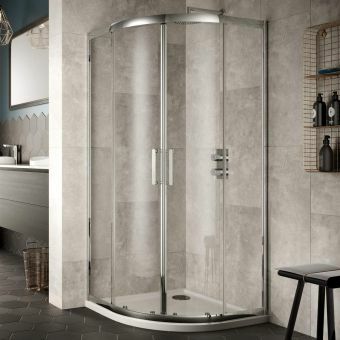 Available in sizes ranging from 800mm to 1200mm, this set provides options for the discerning designer to match it to their own specific space. 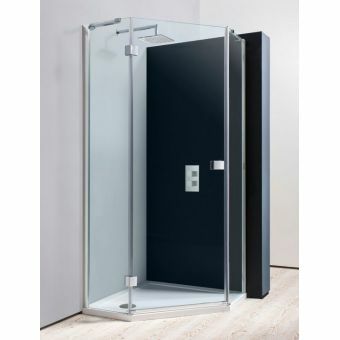 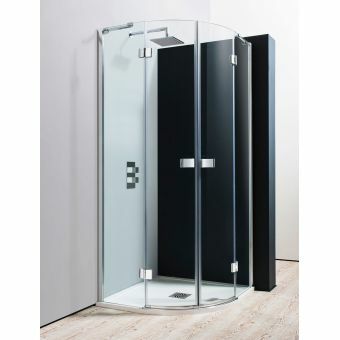 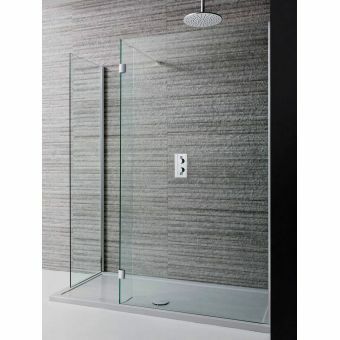 Please note that shower tray is not included in the price, and may be ordered separately. 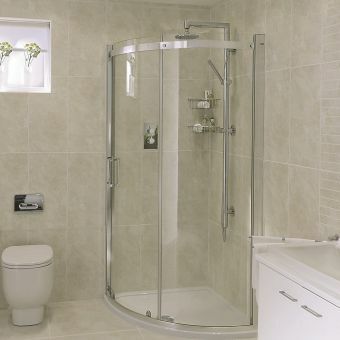 For further information about compatible trays, please contact our friendly team.